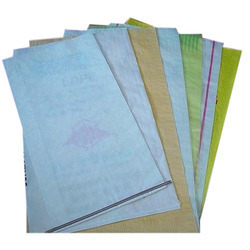 Our range of products include polypropylene woven bags and woven bags. 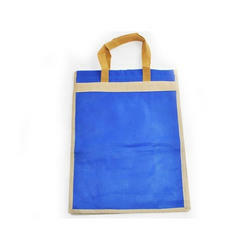 We are offering Polypropylene Woven Bags in different sizes. The size range for bags made from tubular fabric is from minimum 24 inches (60 cm) up to 61 inches (155 cm). For bags made from open width fabric (bags fabricated by ‘L’ ‘U’ Type stitching) the minimum width size can be of your choice and the maximum we can offer is up to 120 inches (305 to 310 cm). These big size bags can be used for covering big articles. Different colors of bags can be offered. As the material Polypropylene, when exposed to sun, tears, we strictly provide UV Stabilization to this material making it more long lasting. We provide Woven Sacks in roll form only (28’’ (70 cm) - 60’’ (255 cm)). We are offer Woven Bags. For bags made from open width fabric (bags fabricated by ‘L’ ‘U’ Type stitching), the minimum width size can be of your choice and the maximum we can offer is up to 120 inches (305 to 310 cm). These big size bags can be used for covering big articles. Different colors of bags can be offered. We provide Woven Sacks in roll form only (28’’ (70 cm) - 60’’ (255 cm)).